Art Poster Card: If you've been on a family holiday then you know how exciting it can be with the anticipation of arriving! 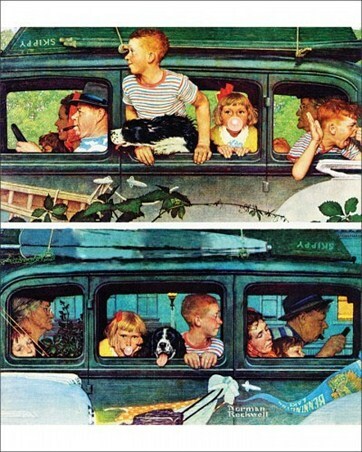 This delightful painting by Norman Rockwell shows the "Coming and Going" as the whole family from the young children right through to the Grandma are transported to their destination and back again. With Father driving the car and even the dog too, you can see that they have had a fun filled trip as they are all slightly less animated on the trip back home! 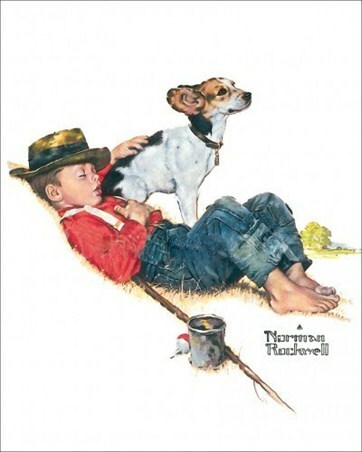 So if you love Norman Rockwell's delightful illustrations then why not add this poster card to your collection and re-live those family outings you used to have. High quality, framed Coming and Going, Norman Rockwell poster card with a bespoke frame by our custom framing service.